If you're still struggling to recalibrate from the recent time change, use the color-correcting powers of this concealer to hide those dark circles. Choose from deep peach, lavender, green, peach, pink or yellow. Whether for discoloration or blemish concealer, this product is to the rescue! Perfect for the lounge setting, this delicate blush robe is the ideal gift for Easter. It's cute, comfy and monogrammed - what's not to love? If pink isn't your thing, try it in mint or the navy floral pattern. Give the gift of luxury with a bath bomb! All LUSH products are handmade with natural ingredients and packed with essential oils as a gentle alternative to bubble bath. They also change up colors and shapes seasonally, so there's something for any holiday celebration (peep the cute egg shape above). Still, on the beauty train, give the gift of exfoliation with this luxurious body scrub. The exfoliation grains are the perfect texture for a smooth and silky polish. All their fragrances smell so great and your wallet will love the price point! Never lose your keys in the bottom of your bag ever again with this key ring (cue the "Hallelujah Chorus"). This is a statement key ring. It's personalized and the tassel detail is very on-trend for spring fashion 2018. Wicker Easter basket, wicker clutch - is there a better match? Wicker is a spring and summer classic and with this statement clutch, any Easter clutch will come to life! Candy minus the calories? I'm all ears! We all love candy in our Easter baskets, but this year we're all about the arm candy, too! Create a fun bracelet stack with this trio set! This egg-shaped product was made for your Easter basket! This company prides itself in noticeably smooth results (hence eos - evolution of smooth) whether you're a mint, berry or coconut gal. Bath and Body Works seems to roll out new candles every week! Everyone can appreciate a candle, especially when the scents are so pleasantly fragrant. 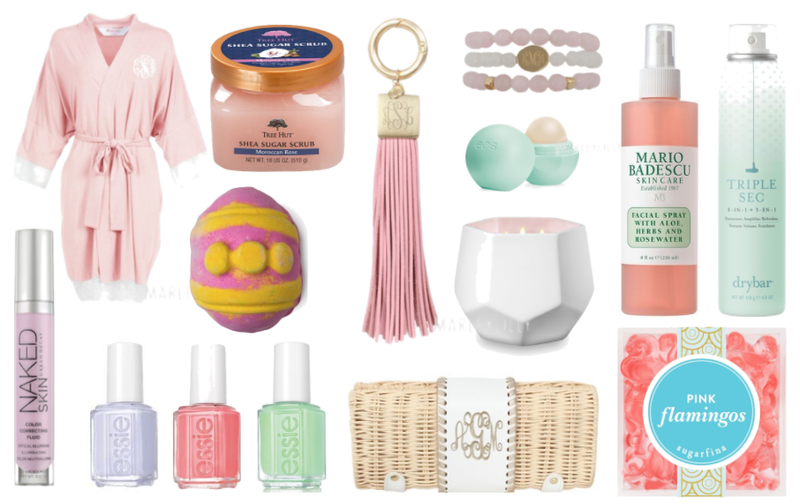 For a beauty-themed Easter basket, pair this with the bath bomb and exfoliating scrub. Facial spray is a beauty routine essential. Boost your hydration and revitalize your glow with this facial mist. It also has a very refreshing subtle floral aroma - perfect for spring! Whether sweet or salty, you can't have an Easter basket without treats. This brand is everywhere right now and the packaging is just darling! The smell alone of this product! Dry Bar, can you please make this a candle scent? This 3-in-1 hair product adds texture, amplifies and refreshes any hair type. You have to love that! If you paid really close attention, you can tell by the Easter puns, this holiday is one of my favorites. 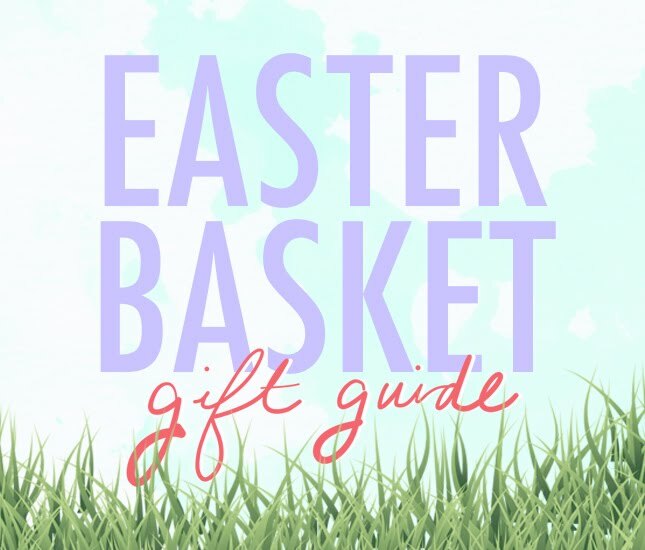 What are your Easter basket must-haves? We would love to know in the comments below!